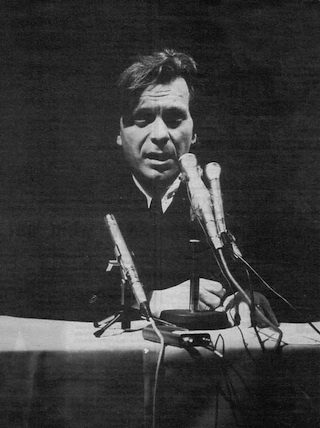 'Ubiquitous Granada TV talking head, pop cultural conceptualist, entrepreneur and bullshitter,' was The Cut magazine's recent description of Anthony Wilson. "Yes, very accurate," the Factory Records supremo agreed when I put it to him. "Although the one thing left out was the academic side," Wilson ponders. "Maybe 'bullshitter' is where the word 'intellectual' comes in, because I fundamentally regard myself as an academic, which could of course be determined as a bullshitter." Who The Hell Does AHW Think He Is?